Naproxen 500mg GR comes in tablet form. It belongs to a group of medicines called NSAIDs - non-steroidal anti-inflammatory drugs. Naproxen is used to treat the symptoms of rheumatoid arthritis and osteoarthritis - pain, stiffness and swelling in the joints and muscles. Naproxen 500mg GR tablets should be kept out of sight and reach of children. It should be stored in its original packaging, protected from light and should not be stored over 30 degrees Celsius. 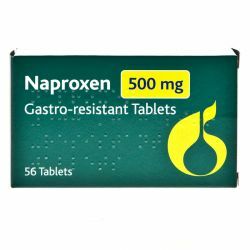 When using Naproxen 500mg GR, you should follow the instructions given to you by the doctors. The usual dose given for arthritis treatment is one tablet to be taken twice a day. The tablets should be swallowEd whole - not chewed - and with a drink of water, with or after food. The active ingredient in these tablets is Naproxen. The other ingredients are lactose, potato starch, povidone, glycerol, sodium starch glycollate, magnesium stearate, eudragit L 12.5 and L30D, triacetin, talc, polyethylene glycol and silicone antifoam. 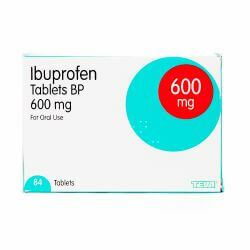 Naproxen 500mg GR tablets should not be taken if you are allergic to any of the ingredients in the medicine, other NSAIDs such as aspirin. You should not take the tablets if you have had problems with taking other NSAIDs in the past, if you suffer from, or have a history of, peptic ulcers or bleeding in your digestive tract or if you have severe heart, liver or kidney failure. You should speak to your doctor before taking Naproxen if you are elderly, have or have had bronchial asthma, suffer from heart, liver or kidney problems, have fluid retention, suffer from blood clotting disorders, have a history of disease or problems with your digestion system, have ulcerated colitis or Crohn's disease, have systemic lupus erythematosus or other connective tissue disorders, have Stevens-Johnson syndrome or toxic epidermal necrolysis. You should stop taking Naproxen if you are to undergo adrenal function tests or urine tests as it may interfere with the tests. Naproxen 500mg GR may be associated with a small increased risk of heart attack or stroke. Any risk is more likely with higher doses and prolonged treatment. Do not exceed the recommended dose or duration of treatment. You should make sure to mention if you are taking any other medicines, including medicines obtained without a prescription. You should make sure to mention if you are taking these medicines especially as they may effect how Naproxen works, or vise versa: other pain killers, corticosteroids, anti-coagulants, anti-platelets, antacids, medicines that treat high blood pressure, ACE inhibitor medicines, heart medicines, ciclosporin, tacrolimus, quinolone antibiotics, lithium, methotrexate, medicines to treat type 2 diabetes, probenecid, diuretics, zidovudine, colestyramine, SSRIs or if you have taken a medicine called mifepristone within the last 12 days. 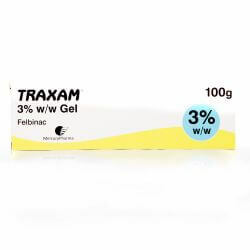 If you are in the last 3 months of pregnancy, you should not take this medicine. If you are in the first 6 months of pregnancy or are breast-feeding, you should avoid taking Naproxen. Naproxen may make it more difficult to become pregnant, so tell your doctor if you are planning a pregnancy or are having problems becoming pregnant. As with all medicines, Naproxen 500mg GR can cause side effects, although not everybody gets them. You should stop using Naproxen immediately if you notice any signs of an allergic reaction. You can minimise the risks of getting side effects by taking the least amount of tablets for the shortest amount of time necessary to control your symptoms. You should stop taking Naproxen and seek medical help or speak to your doctor if you suffer from the following side effects: Stevens-Johnson syndrome, blistering or flaking of the skin, pass blood in your faeces, pass black tarry stools, vomit blood or dark particles, indigestions, heartburn, abdomincal pains or other abnormal stomach symptoms. Other side effects include feeling sick and/or being sick, diarrhoea, bloating and/or constipation, inflammation of the mouth, lips, cheecks, gums or throat, inflammation in the lining of the stomach, uclers in the stomach and/or intestines, small holes in the stomach and/or intestines, colitis, pancreatitis, inflammation of the blood vessels, water retention, high blood pressure, heart palpitations, congestive heart failure, heart failure, inflammation of the kidneys, kidney damage or failure, blood in urine, raised serum creatinine, abnormal liver function test results, inflammation of the liver, jaundice, vision problems, inflammation of the optic nerve, pins and needles, numbness, ringing in the ears, impaired hearing, aseptic meningitis, especially in patients with an auto-immune disease - symptoms may include stiff neck, fever, disorientation, depression, confusion, hallucinations, ringing in the ears, hearing problems, dizziness and vertigo, a general feeling of being unwell, unusual tiredness or drowsiness - eosinophilic pneumonitis, blood disorders such as low white or red blood cell count, low levels of calcium, high levels of potassium, reduction in blood platelets, neutropenia, oesophagitis, difficulty in sleeping, abnormal dreams, depression, confusion, hallucinations, fits, dizziness, headaches, light-headedness, drowsiness, forgetfulness, difficulty concentrating, female infertility, sensitivity to light, hair less, sweating, thirst, muscle pain or weakness, bruising or other skin rashes such as inflammatory skin eruption and red-purple swelling on the legs.